This room is located on the 1st floor and is 180 sq, ft² and would be ideal for a coffee/tea shop. 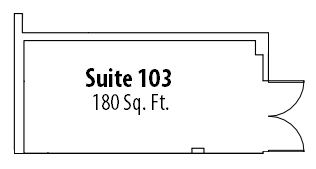 Storage is available to all existing and future tenants at the rate of $0.50 sq, ft². The room can be built to suit.